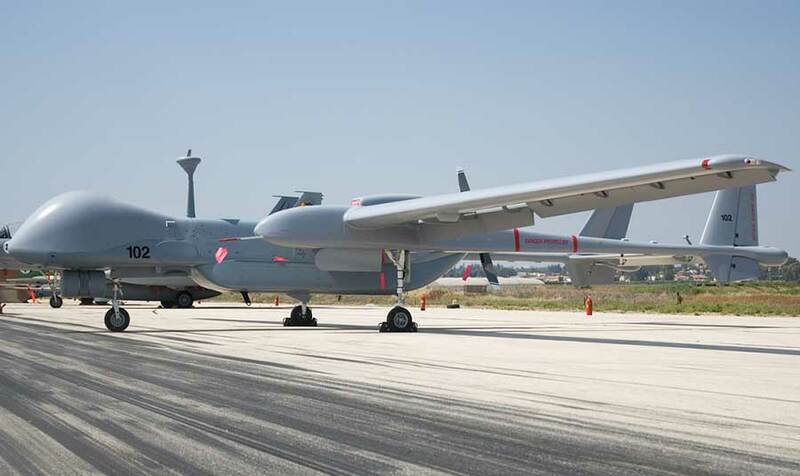 JERUSALEM, Israel (BulgarianMilitary.com) – The German air force teams that will operate the Israeli made Heron-TP UAV have begun their training in an Israeli air force base, learned BulgarianMilitary.com. The training is taking place in a special complex that was set up in Israel air force (IAF) Tel Nof airbase. The German personnel is part of the one that already operates the Heron – 1 UAV, also manufactured by Israel aerospace industries (IAI). This version is flying in Mali and Afghanistan. — Sergei (Sagy) Migdal (@migdalser) 17 юни 2018 г. While the training is underway, voices are growing in Germany to stop any plan to arm the UAV, to be used mainly in Africa. The opposition includes a demand of German politicians to freely visit the German units training in Israeli bases. This demand is unacceptable by Israel. The German MPs, members of leftist and “Green” parties, in the Bundestag, oppose the plan to arm the MALE UAV. As part of the process, the German politicians visited Israel in recent months, and met with officials from Israel aerospace industries (IAI) that is manufacturing the UAV and with officers of the Israeli air force. According to the deal, the IAF is training the German teams in its Tel Nof airbase. The use of armed UAV has been in the focus of a political debate in Germany since the deal to lease the Heron-TP was signed. The contract is for the lease of seven Heron – TP UAV. These are intended to support German operations in Africa and Asia. The UAV have been leased for a period of nine years and can carry “unique air-to-ground missiles” according to German sources. According to the German Defense Ministry, these weapons can abort their trajectory towards the target in case civilians may be hurt. The arming of the MALE UAV was in the heart of the internal debate in Germany before the deal was approved but is continuing. German sources said that during the negotiations “several options to use Israeli developed weapons have been evaluated”. At this point in time, there is no decision to arm the UAV. In the first two years of the deal, the UAV will be operated from the Tel Nof Air Force base, to assist the German military operating in Afghanistan and Mali.